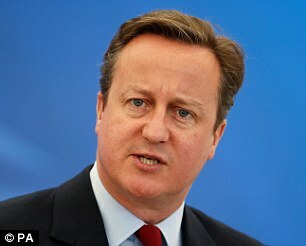 Investment bank Greensill Capital is in talks with David Cameron about a senior advisory position. A spokesman for the former Prime Minister tells the financial website Betaville that Cameron is ‘considering a role, but no final decision has been made’. Greensill is hardly a household name, but at least it might get mopey Dave out of the house where friends say he’s still labouring over his already well-past-their-sell-by-date memoirs. Chicago-based economist Raghuram Rajan, 55, former governor of the Reserve Bank of India, was in London yesterday discussing Brexit. Some wonder if the true purpose of his visit was to woo support for the Bank of England governorship. Suave Raghuram’s international standing would certainly appeal to Treasury mandarins. And it can’t hurt that the current front-runners for the job – deputy governor Ben ‘Menopausal’ Broadbent, 53, and Financial Conduct Authority boss Andrew Bailey, 59 – are making a total pig’s ear of things. Imperial Tobacco’s £5.5million-a-year chief Alison Cooper has ditched the fags in favour of vaping. Should any black-lunged gaspers feel let down by this revealing intel, fret not. I’m told racy Alison, 52, still fires up the occasional cigar. Top marks for effort for David Maxwell, granite-jawed chief executive of AIM-listed property firm Deutsche Land and quite-possibly-bonkers amateur jockey. After riding in the 16.45 at Devon’s Newton Abbot racecourse yesterday afternoon, he made a mad dash for Scotland to appear in the final race at Perth at 21.05. It’s all the way back down to West Sussex this afternoon where Maxwell, 39, is due to ride at Fontwell at 17.00. And to think there’s talk of a widespread property crisis. Former Institute of Directors’ chairman Barbara Judge, who resigned following allegations of racism and sexism, popped up at a cocktail party at the Royal Academy this week. Despite the recent unpleasantness, enamel-skinned Lady J, 71, has no plans for a set-the-record-straight memoir. She says: ‘I just want to help other women. That’s all I want to do.’ A noble enough sentiment, so long as the old gal’s not hoping for a comeback.